From the free-loving romances of the '70s to present-day Hollywood power couples, we’re taking you for a walk through the most famous celebrity pairings each year from 1979 to 2019. These two A-listers of their time became an item in 1979. 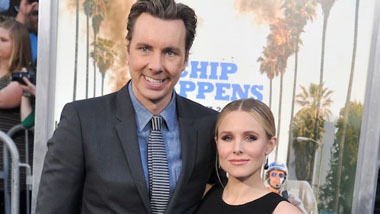 Their Hollywood love story was definitely one for the ages: they broke up in 1997, reconciled in 2001 and stayed together until Fawcett’s death from cancer in 2009. So much drama! Check out the most scandalous celebrity love triangles of all time. While their love affair was often described as “turbulent,” Carrie Fisher, who was at the height of her career in 1980 after the release of Star Wars: The Empire Strikes Back and singer Paul Simon, would spend a decade in an on-again, off-again relationship that included a marriage and soon after – divorce. On July 29, 1981, in one of the most lavish and widely-watched royal weddings in history, Prince Charles and Lady Diana Spencer, who would forever be known as “the people’s princess” said “I do” in front of a global TV audience estimated to be around 750 million people. After what was dubbed “the wedding of the century,” the royal couple would call it quits after 15 years and Princess Diana would tragically die in a car accident alongside her partner Dodi Fayed in Paris in 1997. Check out the times that Kate Middleton channeled Princess Diana’s style. In 1982, Cheers and Taxi were undisputedly the most popular TV shows of the time. So, when their respective stars Rhea Perlman and Danny DeVito got hitched, it was one of the biggest celebrity headlines of the year. 1983: Sarah Jessica Parker and Robert Downey Jr. In 1983, the good-girl and bad-boy couple of the day was Sarah Jessica Parker and Robert Downey Jr. These two were the ones to watch as style icons of their generation, feeling the love from 1983 to 1991, when the pair would ultimately call it quits. These are the celebrity parents who have twins or triplets. Goldie Hawn and Kurt Russell may be our favourite (and one of the longest-standing) Hollywood couples. These famously unwed lovebirds may have met on set in 1968, but it wasn’t until 1984 that they would finally get together, giving us major couple goals to this day. These celebrity couples prove that true love stands the test of time. A rollercoaster romance from the start, the spark for these two burned bright – and burned out – fast. The troubled twosome first met and married in 1985. Their relationship would be plagued by bad press, explosive public outbursts and rumours of their turbulent private life. Sean Penn and Madonna would hold on to their marriage for nearly five years before divorcing in 1989. Awkward, much? These celebrity couples broke up but still had to work together. Married in 1986, it was hard not to be interested in the bulky body-builder-turned-actor with the big smile and his stunning bride, the budding journalist and news anchor. Together since 1977, the pair made it official in 1986 and would go on to have four children together before divorcing in 2011, after Schwarzenegger would publicly admit to fathering a child with another woman several years prior. 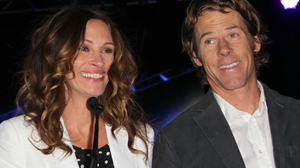 This genetically-blessed duo got hitched in Vegas in 1987 and sat atop the throne as one of Hollywood’s most powerful and watched couples until they divorced in 2000. These two may no longer be an item, but they’ve become definite role models for their amicable co-parenting of their three daughters Rumer, Scout and Tallulah. Another pair to wed in Vegas in 1987, the passionate singer and actress would have their daughter in 1988 and become a fixture on the Hollywood circuit as young wife Lisa Bonet continued her work on The Cosby Show and aspiring musician Lenny Kravitz began to make a name for himself in the industry. Check out the celebrities who married young. These two first met in 1989, when it’s rumored sparks flew at the premiere of Ryder’s film Great Balls of Fire!. And by the time they started working together on the set of Edward Scissorhands in 1990, the press – and public – couldn’t get enough of them. Often swarmed by media, the private couple’s inability to go unnoticed is thought to be one of the reasons why the iconic couple called in quits in 1993. Before Tom Cruise would ever jump up on Oprah’s couch and declare his love for Katie Holmes, he would embark on a Hollywood love story with the statuesque Nicole Kidman. The year 1990 is when Cruise and Kidman hit the box office for Days of Thunder and the altar, saying “I do” and sticking with it until 2001, when the A-list pair would finalize their divorce. These ‘90s couples need to get back together. The definition of “grunge royalty,” musicians Kurt Cobain and Courtney Love released albums in 1991, as they cemented themselves as the effortlessly-cool couple of a generation that same year. The pair wed in 1992, but the love story was cut short when Cobain tragically died by suicide just two years later. When music legend David Bowie met the stunning model Iman, he just knew. According to Bowie, it was a done deal from the first time he laid eyes on her. The late music icon even told Hello magazine in 2000, “I'd never gone after anything in my life with such passion in all my life. I just knew she was the one.” The pair got hitched in 1992 and were together until his passing in 2016. These two top actors of the day got married in 1993; and while their life together would be marred by nasty press and some pretty disturbing headlines until their divorce in 2002 (and for some time after), we can’t help but reminisce on just how pretty a pair these two were back in the day. 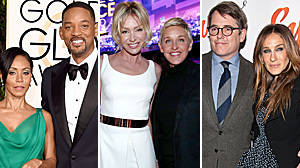 Check out our roundup of the celebrity couples you never saw coming. Johnny Depp may have one of the most successful Hollywood careers of his generation, but it seems like his legacy will forever be the barrage of beauties he’s left behind through the years. In 1994, it was Kate Moss’s turn, as the young model and Hollywood bad-boy became an item for the ages. While the pair made history with some of their public shenanigans, they ultimately called it quits in 1998. Speaking of Johnny Depp, these are the messiest celebrity breakups ever. In 1995, Hollywood hunk Hugh Jackman, widely considered as one of the nicest actors in the industry, set his sights on Deborra Lee-Furness while on the set of an Australian TV show. They married the following year, adopting two children after that. They are still enjoying wedded bliss after more than two decades. For starters, just look at these two. It’s not hard to see why the press loved them, much less why they seemed so in love. Good genes and matching hairstyles aside, the Se7en co-stars stole the spotlight on nearly every red carpet during their time together, breaking up – and breaking the hearts of fans everywhere – in 1997. When the famous footballer and Spice Girl first hooked up in 1997, no one seemed sure if they flashy duo would make it. The pair set out to prove the haters wrong with an extravagant wedding in 1999 and now, over 20 years and four children later, there’s little doubt these two were a match made to last. These celebrity kids have the most expensive style. As relevant then as they are today, these two take the crown as one of the most popular couples then and now. On New Year’s Eve in 1998, Will Smith and Jada Pinkett made it official and became one of our favourite couples to watch. Now, in 2019, these two have grown to a family of four and have fast become one of our favourite – and most inspiring – families to watch. A baby-faced Reese Witherspoon and brooding Ryan Phillippe would first meet at a birthday party for Reese and marry not long after, in 1999 – the same year that the pair would star in the box-office hit Cruel Intentions. 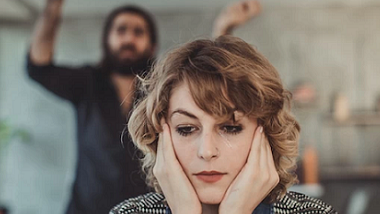 Sometimes, a breakup is a blessing in disguise. These celebrity couples were way better off after their split. Has there ever been a bigger Hollywood duo than Brad and Jen? These two seemed destined for their “happily ever after” but after five years of marriage, Brad Pitt pulled the plug and got serious with his Mr. & Mrs. Smith co-star, Angelina Jolie. Before pop star Britney Spears ever broke N’Sync star Justin Timberlake’s heart, these two were blowing up the headlines and red carpets with their matching outfits and musical collaborations. Will this matching denim moment ever get old? We didn’t think so. These celebrities reveal what it’s like to be cheated on. 2002 was the gift that kept on giving, with J.Lo putting her private life on public display with that music video for “Jenny From the Block” and all the delicious red carpet moments that featured her and actor-beau Ben Affleck. While the relationship ultimately fizzled out, we’ll always have the memory of Ben and Jen forcing the chemistry in what goes down as two of the cheesiest movies of all time – sorry, Jersey Girl and Gigli, it had to be said. At the height of Jay-Z’s hip hop career and the rise of Beyoncé as a successful solo artist, releasing her first album independent of her former band Destiny’s Child in 2003, the signs that these two had become a couple were hard to ignore. If it wasn’t obvious enough as they both dodged media questions, but continued to be seen together out in public, their 2002 collaboration on Jay-Z’s “’03 Bonnie & Clyde” track continued to climb the charts, with their steamy music video only adding fuel to the fire. While neither Jay-Z or Beyoncé would officially confirm the coupling, this was definitely their year, as hopeful fans looked on and soaked up every hint these two would drop. In 2004, reality programming was fast-becoming one of the biggest ratings-draws on television, and newlywed singers Nick Lachey and Jessica Simpson were in on the action, with the second season of their popular show Newlyweds: Nick & Jessica in full swing. Fans couldn’t get enough of Jessica’s bubbly antics or her hunky hubby Nick; and while this duo wouldn’t make it, divorcing in 2006, it was fun while it lasted. Were you as shocked as we were by these celebrity pregnancies? Hardly waiting a beat for the ink on his divorce papers with Jennifer Aniston to dry, Brad Pitt waited all of one month before the tabloids snapped photos of him and his Mr. & Mrs. Smith co-star Angelina Jolie, along with her kids, enjoying time on a beach in Kenya. Pitt and Jolie would later reveal their love story started on set of the film, while Pitt was still very much married to Aniston, but he’s insisted he did not cheat. So from Brad and Jen to “Brangelina,” Pitt and Jolie became the world’s most popular couple to watch. The two separated in 2016 and share six children, including their daughter Shiloh and twins Knox and Vivienne. After co-starring as a feuding couple on the brink of splitsville in the 2006 film, The Break Up, fans loved the actors’ off-screen chemistry too, as the pair spent a few months as an item before calling it quits in December of the same year. You won’t believe how much it costs to look like Jennifer Aniston for a full year! 2007 was definitely the year for “TomKat,” as the action movie star and former Dawson’s Creek actress made a splash globetrotting and packing on the PDA at every red carpet they could find, often with the adorable then-baby Suri Cruise in tow. We all know how this one ended, but it was a fun, ridiculous, ride while it lasted. When a leading daytime talk-show host gets hitched, the world watches on. Fans across the globe couldn’t wait to see wedding snaps from Ellen DeGeneres and Portia de Rossi’s big day. Flash-forward to 2019 and these two lovebirds are still going strong. The power couple of all power couples, 2009 was definitely their year. Barack was inaugurated into office and he and First Lady Michelle quickly became worldwide #couplegoals. From their popular political perspectives to their philanthropic work and general charisma, there was no denying that the First Family had a pulse on the times. In the midst of the Twilight franchise frenzy, with the third film having just been released and fans increasingly more obsessed with the cast on – and off – screen, there was no doubt that Kristen Stewart and her maybe-boyfriend Robert Pattinson were the couple of the year. While it was beyond obvious that the two were an item, the painfully-introverted Stewart and tight-lipped Pattinson took their time in confirming the relationship. The pair split in 2012 after Stewart was photographed getting cozy with her very-married Snow White and the Huntsman director Rupert Sanders. Yikes. In a royal ceremony to rival any fairytale wedding, Prince William married longtime love Kate Middleton in 2011 at Westminster Abbey in London. Leading up to the big day and for some time after the fact, there wasn’t a magazine cover or media outlet that wasn’t hyper-focused on covering every detail of the couples’ wedding-for-the-ages. Needless to say, Will and Kate did not disappoint. 25 times Kate Middleton was just a regular mom. The on-again, off-again couple of a generation, pop stars Justin Bieber and Selena Gomez first linked up in 2011, but it was in 2012 that the couple had truly cemented their status as the young couple to watch for on red carpets and in candid paparazzi snaps. While their off-and-on relationship took a definite turn to “off” in 2018 when Bieber married Hailey Baldwin, “Jelena” fans are probably still holding out hope for yet another reconciliation. It seems like every year is a banner year for Kimye, but in 2013, the couple made waves for everything from their red carpet fashion to the birth of their first child, North to their post-engagement journey, chronicled on the Kardashian’s reality TV programs. These 19 celebrities broke off their engagements. In April of 2014, the world’s most eligible bachelor became engaged to human rights lawyer Amal Alamuddin and by July, the pair headed down the altar in a star-studded affair held in Venice, Italy. The happily married couple had twins in 2017 and continue to reign as one of Hollywood’s most beautiful – and socially-conscious – couples. With divorces behind them, co-stars on The Voice Gwen Stefani and Blake Shelton (finally) confirmed the rumours and stepped out as a couple. They continue to gush about one another at every opportunity and we wouldn’t be surprised if Shelton popped the question any day now. These celebrity couples prove opposites attract. From the birth of their daughter Luna to Chrissy’s new cookbook, epic Twitter-rants and John’s new album Darkness and Light, 2016 was definitely the year for everyone’s favourite unfiltered duo. These two got together in 2017 and have been inseparable ever since – and have you heard the latest? A-Rod just popped the question and our favourite World of Dance star J.Lo said yes! Here’s hoping her fourth marriage is the charm. Check out what other celebrities got engaged in 2019. Hands down the couple to be in 2018, Prince Harry and former Suits actress Meghan Markle proved fairytales do come true as they took their whirlwind romance to the altar, saying “I do” in front of celebrity friends, royalty and the eyes of the world. On their wedding guest list: Oprah Winfrey, George and Amal Clooney, David and Victoria Beckham…we could go on and on. Check out these celebrities’ first-date stories. Actress Priyanka Chopra and singer Nick Jonas got together in 2018, with their relationship on the fast-track towards marriage from the start. After just a few months of dating, the pair got engaged and soon after that same year, made it official with not one, but two wedding ceremonies, and what’s been tallied at five separate receptions. Now, in 2019, as the most popular newlyweds of the moment and the Jonas Brothers reunited with a new album, it’s looking this 2019 is going to be their year. Check out the celebrities who got engaged in 2018.